DPR Group’s Jason Lucas recaps the Washington, D.C. Technology Media Breakfast, hosted by Business Wire, with these tips. Content is common ground in the relationship between PR professionals and journalists. PR professionals create content as a means to promote their clients, while journalists create content to engage and inform an audience. But, when hot button issues or trends arise, there is an opportunity for PR pros and journalists to work together in the news gathering process — PR professionals can position their clients as reliable sources by pitching story ideas to the journalists. Ideally, this collaboration will result in timely content that affects public opinion, while promoting the client as a subject matter expert (SME) on a particular topic. Photo courtesy of Business Wire. From L to R: Rob Pegoraro (Yahoo! Tech), Paul Sherman (Potomac Tech Wire), Hayley Tsuyakama (The Washington Post), Kasra Kangarloo (Washington Business Journal) and Joseph Marks (Politico). 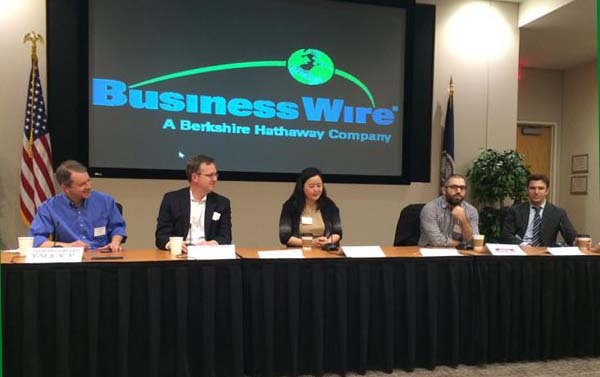 This event featured a panel consisting of Karsa Kangarloo, tech and venture capital reporter, Washington Business Journal; Joseph Marks, reporter, Cybersecurity Pro at Politico; Paul Sherman, publisher and executive editor, Potomac Tech Wire; Hayley Tsuyakama, technology reporter, The Washington Post; and Rob Pegoraro, columnist, Yahoo!Tech. Conduct Research: Panelists described instances where they received pitches from PR professionals that did not appear familiar with their beat or the focus of the publication. A simple Google search about a reporter, visit to a publication’s website or look through a media database will provide the necessary information to help you identify the proper journalists and relevant publications to target your next pitch. Build a Relationship: Because journalists are usually facing a time crunch, all of the panelists suggested building a relationship aside from pitching. Conferences, networking events and trade shows present the best opportunities to strike up a conversation that could lead to a future working relationship. Pitch Anytime: When a hot button issue captures the public’s attention, oftentimes journalists already have a shortlist of sources to contact in order to file a story. The panelists stressed the importance of pitching more frequently as a way to get a client on their radar when they are developing story ideas. Provide New Information: Since journalists are well-versed on their specific beat, providing them with new information on a particular topic is valuable. At their core, journalists want to inform their audiences, so offering new information via your clients gives them a valuable resource that can advance a story. Leave Breathing Room: A few of the panelists advised the audience that just because they covered a topic recently, it does not mean they will revisit it upon receiving a pitch about something similar. The exceptions to this suggestion are when there is an issue that garners considerable public discussion or if the pitch provides new information or a different point of view to a trend or topic. Implementing these strategies while pitching story ideas to journalists can boost the chances of obtaining a media placement or securing an interview for a client. It is important to remember that journalists are working on multiple projects with looming deadlines just like PR professionals, so the tips included above can go a long way toward cultivating a mutually beneficial relationship.